If you are a web or mobile app developer who wants to take your abilities to the next level, this class is perfect for you. 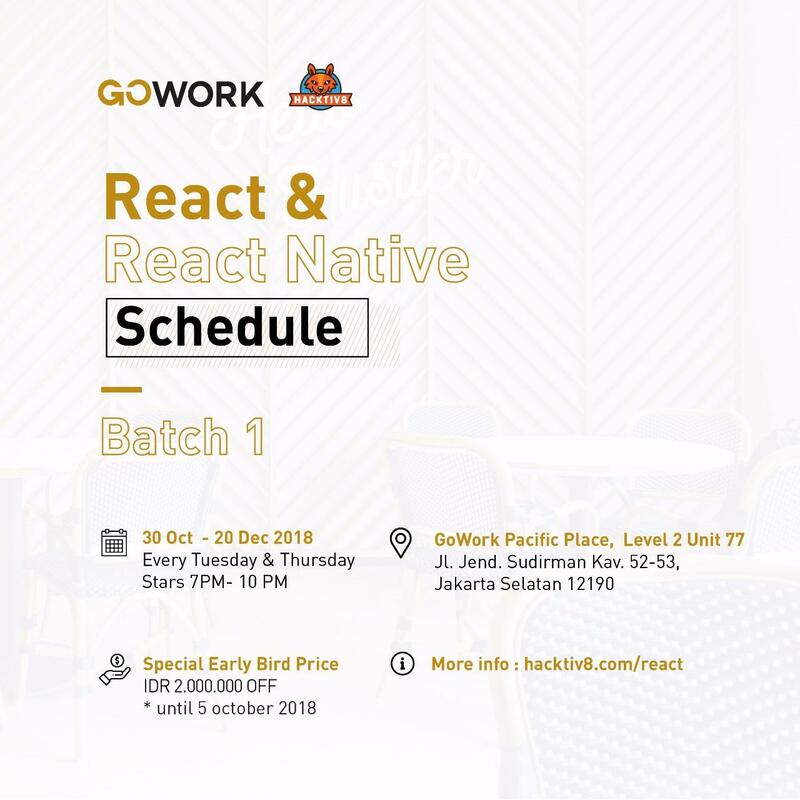 In this class, you will learn how to implement React and React Native while making your own application. Now open in GoWork Pacific Place!